You've heard the old empty song about making a list and checking it twice..... Well, now is the time to dig out your list for Gospel opportunities during the month of December to make sure opportunities to share Christ are not missed. I know there may be some Christians who would prefer not to place any emphasis on Christmas. But for those who see it as an opportunity, cherish it. This is probably the generation that will witness the shutting down of many opportunities to share Christ at Christmas time. For those who see it is as a converted pagan holiday, they may wish they had seized the opportunities during the month of December - when it was still legal to speak openly about Christ in public places. As it stands now, if you listen carefully, you can still hear excellent Christmas carols with doctrinally sound lyrics being played in some shopping malls and stores. Some public schools still allow a Christmas Concert to include the story of the birth of Christ. Christmas cards promoting 'Christ the Saviour' are still available. 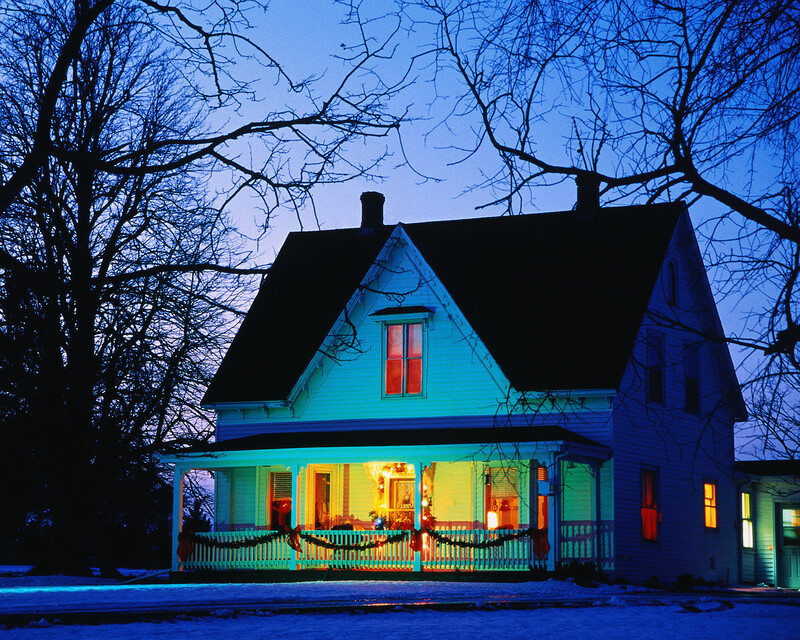 Most communities still allow neighbors to band together and go from door-to-door singing carols. 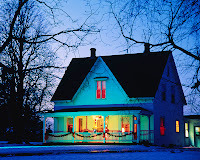 Most municipal bylaws still allow a Christian home to have a lighted text in their yard saying: "Christ Jesus came into the world to save sinners," or "The Greatest Gift - God so loved the world that He gave His one and only Son". We can still go to public housing complexes for seniors and low income families to sing Scripturally sound Christmas carols and to tell the old, old story. Singing Carols in the Neighborhood - Get some strong and happy singers together and practice singing 8-10 Scripturally sound carols. You don't need a huge repertoire of carols. You may have to sing the same carols repeatedly but those who are listening are not hearing the repetition. Bundle up in warm clothes, with some goodies and treats to hand out, carry a few lanterns or flashlights and knock on doors in the neighborhood - sing a carol on their doorstep, give them a treat and go to the next door. Drop into the nursing home or the hospital or the Boys and Girls Club, etc. sing a few carols filled with the Gospel message, smile and move along. Christmas Dinner - Host a community Christmas Dinner. Send out invitations to all the neighbors. Put a sign outside your building over a week in advance announcing the Christmas Dinner. A full-blown turkey dinner with delicious dessert and one poinsettia per home. Take 15 minutes to speak about the Reason for the Birth of Christ and if you feel it is appropriate contrast Christ to Santa Claus. Christmas Cards - If you still send out Christmas cards to old neighbors, work associates and family members, search online to find cards that have a clear message about how Christ really is the best news this world could ever hear. Facebook, Twitter, etc. Be sure to promote Christ during the month of December. Post one line statements about the Birth of Christ the Saviour; post an appropriate verse; post a link to a good online Christmas story, etc. Your Website - Check with some tract publishers online to see if you can copy and paste one of their tracts from their website so it can be displayed on your personal or assembly website. You don't need to re-invent the wheel or write a new tract. There are excellent Christmas tracts already available. If you have other ideas or suggestions, please leave some comments below. Or if you would like to submit a report on some activity for the month of December, please send it to Reports.